Good news for those planning Halloween parties, the U.S. 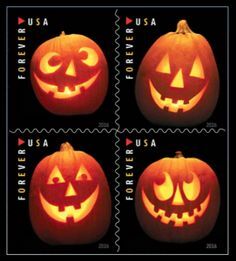 Postal Service (USPS) will issue its first Halloween-themed postage stamps this year. Perfect for your invites! The set of four stamps will be available for purchase starting on September 29th 2016. Anyone else excited for their release? Love the idea of Halloween stamps! It is about time!